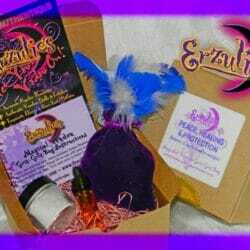 Magical Voodoo Gris-Gris Bags and Gris-Gris Bag Kits, also known as Conjure Bags, Mojo Bags and magical Charm Bags. These are one of the most powerful Voodoo items to use in any ritual for bringing what they desire! 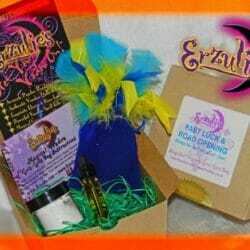 We offer Gris-Gris Bag Kits for Love Spells, Money Spells, Banishing Spells, Healing Spells or whatever you magically desire ~ Erzulie’s has the perfect Magical Gris-Gris & Mojo Bag for you! 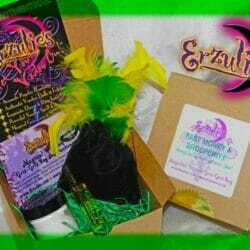 These exquisite Voodoo Gris-Gris Bags & Voodoo Mojo Bags are hand-crafted with rare, magical roots, herbs, botanicals, ritual oils and hand-pressed Voodoo ritual powders. 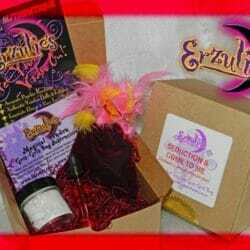 Our Magical Gris-Gris Bag Kits arrive with an additional Voodoo powder packet and a vial of Voodoo Ritual Oils with detailed instructions to work your magical Voodoo Gris-Gris Bag. 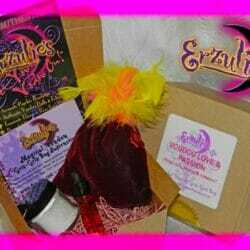 Browse our selection of Voodoo Mojo Bags, Magical Voodoo Gris-Gris Bags at Erzulie’s Authentic Voodoo of New Orleans.